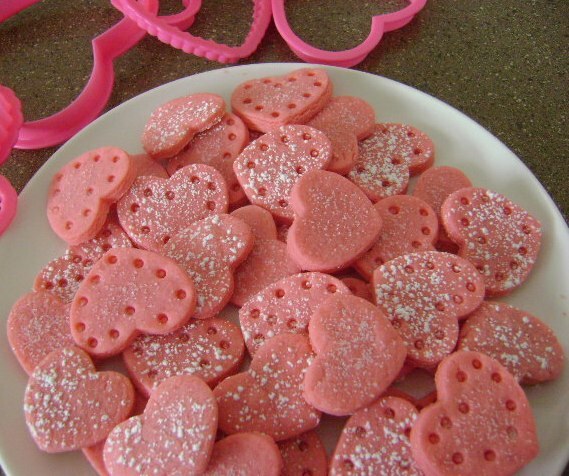 These little cuties are basically a sugar cookie dough colored pink–and cut into tiny hearts. I poked some of them with a sucker stick for decoration before baking, then sprinkled powdered sugar and granulated sugar on them when they cooled. This makes a ridiculously small batch–so at least double it if you want more than a handful. Mix butter and sugar together. Add food coloring, vanilla and milk. Stir in flour. Roll out onto floured surface. Cut out tiny heart shapes. Poke tiny holes with a toothpick if you want. Bake at 350 degrees for 6 minutes. Leave on pan until cool. Sprinkle with sugar. These make wonderful little additions to a Valentine treat bag or surprise for the kids. They’re just so cute! Those were SO good. I think I ate half the batch myself. We’ll have to make some more if you were planning on giving them to people. Oh NO!!! Not Charlie!!! Quick someone else tell me something, I can’t get that in my head again!!! “Madam… HOOOOOW do you do!” That commercial wins! Ok… back to the cookies. AWESOME! 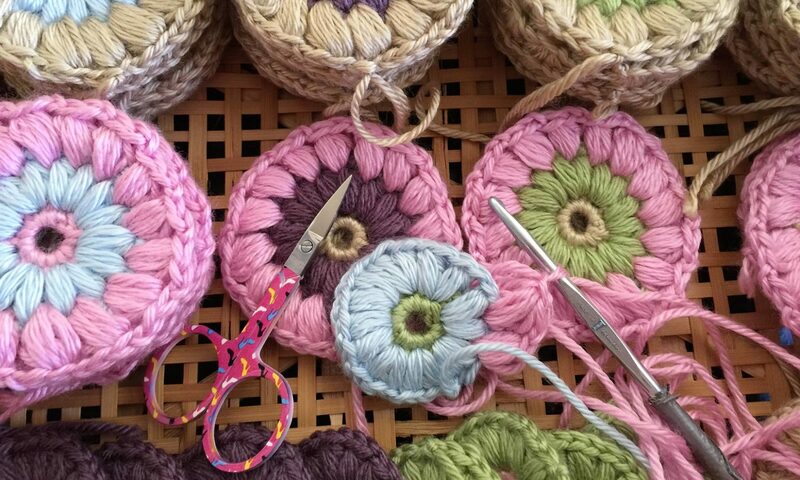 They are super cute and I think everyone should make some… and then give them to me! HAH!